It’s becoming an increasingly more technological world, and smaller businesses don’t have the resources and budgets that large companies have. You need a big win, and let’s face it, you need it today. That’s where a CRM (Customer Relationship Management) system comes into play. At its very basics, a CRM system is just a way to manage your company’s interactions with both current and potential customers. It analyzes data about your customers and serves it up in various ways, allowing you to take meaningful action. If that sounds complicated, it is. But it doesn’t have to be. Finding the right CRM for your business is a challenge, but we’ve found a product that makes it incredibly easy to have this technology work FOR you, saving you time and money. Our TransLink Insights does all of this and more, enabling you to transform your business into the powerhouse you know it can be. Nowadays, 85% of people use the internet to find local businesses. 90% say their buying decisions are swayed by online reviews. 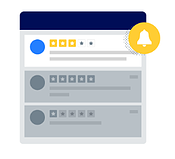 Insights saves time by allowing you to read and respond to all of your review in one place (Yelp, Facebook, Google, etc.). It will even alert you when you receive a negative review via text or email. It can even auto-respond as well! Insights can automatically create and update profiles from all your credit card customers. You can easily search and segment customers by who’s new, who’s loyal, who spends the most, and more. Attract and retain customers – repeat customers spend 67% more and are 5-10 times less expensive to sell to. As odd as it might sound, 80% of happy customers never return. Automated email marketing campaigns keep your business in your customers' mind. Don’t worry if that sounds complicated – Insights does all the hard work for you with simple, easy to use templates that can be done in just a couple of minutes. Imagine if you could give your customers a nudge, automatically, without thinking about it? Well imagine no more, Insights will automatically deliver personalized emails, offers and marketing messages based on activity. For example, if you want everyone who hasn’t been in your business in 2 months to get a 15% off coupon on their next entrée or other retail item, just create an offer, sit back and let Insights do the work. You’ll also get a report showing how well the promotion worked. 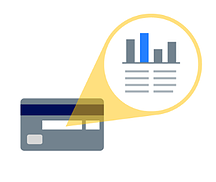 Using Insights' dashboard, you can see every card transaction for your business. Compare your revenue against similar businesses nearby in your area and see if spending is going up or down in your neighborhood. You can even see how weather, holidays, and events drive your revenue. 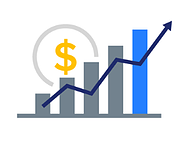 If you process credit cards with Skurla’s and want to increase your revenue, protect and grow your online reputation and reviews, and get the business intelligence you need, call at 907-243-2684 or email us (sales@skurlas.com) and we will get you started with Translink Insights. If you aren’t already saving money on credit card processing or don't have a partner like Skurla’s in your corner – what are you waiting for? Since 1976, we have been partnering with Alaskans to help their businesses thrive by providing a single source for excellent customer service, point of sale systems, and honest payment solutions.